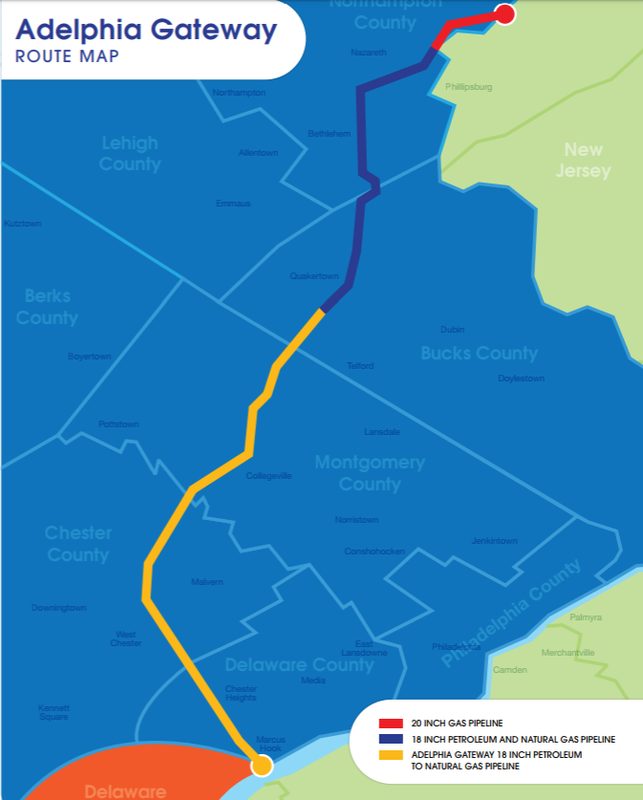 A map of the Adelphia Gateway pipeline route through southeastern Pennsylvania. Editor’s Note: A portion of the Adelphia pipeline passes through Lower Saucon Township. For more information about the pipeline and the proposal to repurpose a portion of it to provide southeastern Pennsylvania residents with greater access to natural gas, click here. In an age of so many renewable and sustainable energy alternatives is it still necessary to entertain such dangerous energy enterprises as reactivating defunct pipelines? Living in the impact zone of a natural gas pipeline is no joke. Residents along the southern portion of the previously “deactivated” Interstate pipeline are in for a grave wake-up call. The newly-named Adelphia Gateway Pipeline Project filed an application with the Federal Energy Regulatory Commission for a Certificate of Public Convenience and Necessity on Jan. 11, 2018. This pipeline, previously the Interstate line held by Talen Generation LLC, has its own environmental impacts, risks and safety hazards, and in fact, has had anomalies occur in the recent past that have resulted in repairs to the line. Any campaign to diminish the negative impacts of this project only continues to compromise the health and safety of Pennsylvanians through this industry’s insistent infrastructure build-out. The Adelphia Gateway Pipeline impacts communities in Northampton, Bucks, Montgomery, Chester and Delaware counties as the gas makes its way to Marcus Hook, and would result in new pipeline interconnects, compressor stations and additional infrastructure. This pipeline project is in no way less a hazard to our communities and there are actually additional integrity concerns as the result of the fact that this is a line that has been in the ground–deactivated for over two decades. The natural gas industry’s emergency response plans for dealing with gas pipeline incidents are grossly deficient and do not adequately provide for public safety, but rather, focus on “minimizing the casualties.” Imagine being told you cannot start your car to leave the scene after you report a gas leak, and to not use your cell phone, but instead to “run as fast and as far as you can” while you can hopefully resolve yourself to leaving your pets and disabled family members behind. The truth of pipeline emergency preparedness plans is truly disturbing. The process of natural gas fracking is a dangerous practice from start to finish. If the companies invested in these enterprises were really worried about energy independence they would not be extracting this gas as quickly as possible to move it to market in other states. The Adelphia Gateway project is not in the best interest of gas consumers or energy independence, and in fact, there is a good possibility this project could result in increased market price volatility and reduced supply reliability. Additionally, with the recent approval of the PennEast Pipeline’s Certificate of Public Convenience and Necessity, there is some discrepancy about the redundancy of projects, and the Federal Energy Regulatory Commission’s Order does make a record of the fact that “the expansion of existing pipeline systems was not a feasible alternative.” So, it’s interesting to find the Adelphia Gateway project submitted on the FERC docket within only a few weeks of FERC’s order granting PennEast permission to move forward with proceedings to condemn properties across Pennsylvania and New Jersey, where many landowners have still refused to sign easement agreements with PennEast. 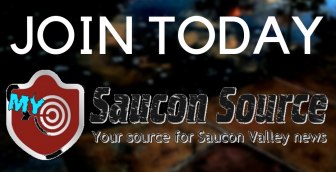 To submit a letter to the editor for consideration for publication, please email it to josh@sauconsource.com. 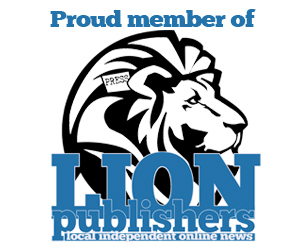 Letters should be of general interest and about local issues. Rollercoaster Weather: 60 on Thursday, Snow Forecast on Saturday?